Imagine this: you’re one day away from your holiday. You’ve realized you’re totally stuck for where to spend your hard-earned vacay savings for the most important part of the trip: the food! But, being short on time is no excuse to ignore that appetite—especially if you’re visiting Auckland. It’s time to stop trawling through those Google pages—we’ve got you covered with these essential Auckland restaurants to hit from morning to night if you’re a visitor to Auckland. If fine dining is what you’re after, The Grove is the place to fulfil those bougie needs. They offer a degustation dining experience with a menu that is always changing depending on the seasonal availability of produce and ingredients. This way, we are sure that what comes out of their kitchen is fresh and the best of the best. Not to mention, their service is top notch as well as their décor. This award-winning restaurant serves modern New Zealand food with a French twist and is an experience that cannot be found anywhere else. Restaurants on the buzzing Ponsonby Road come and go, but this foodie institution has truly stood the test of time making it a dining institution rather than just a restaurant. For good reason, too—people can count on Prego for a good time over one of their signature pizzas and to-die-for espresso martinis. Perfect for a hot day, you can lap up the sun and indulge in a long lunch on their gorgeous courtyard. Come the colder months, warm yourself from the inside out by the fireplace and their infamous sticky date pudding. 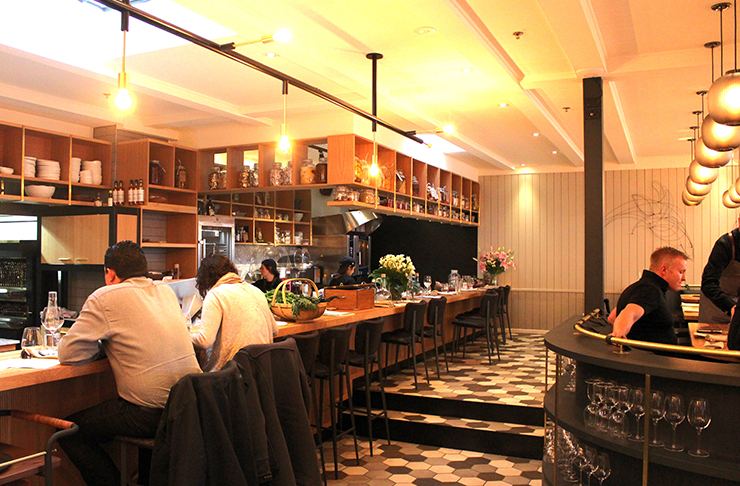 This classic Auckland spot is perfect for any occasion. From boozy long lunches to a quick yet oh-so-perfect lunch, this inner-city oasis is not to be missed. 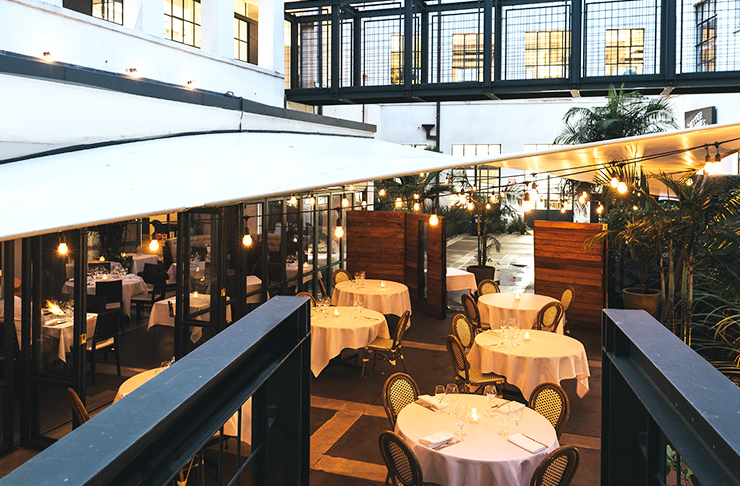 You’ll find the dreamiest courtyard perfect for sipping through their extensive cocktail list on a hot summer day. Inside, Cibo is oozing with subtle glamour, with the chandelier-lit booths and black hand-held mirrors hung against the iconic cherry-blossom wallpaper. Most importantly, the menu showcases seasonal produce with each dish carefully constructed like works of art. You’ve got a range of options to suit all tastes and appetites, from a six-course degustation menu, to an express set lunch, or go a la carte and let your heart (and stomach!) run wild. This much-loved take on a NYC Jewish delicatessen is serving you up deliciousness from when the early morning hunger hits to your late-night feeds! Tucked on Federal Street right by the Sky Tower, there’s no wrong time to hit The Fed with its menu ticking every box from fresh and simple to hearty and downright indulgent. Breakfast options are next level, including blueberry buttermilk pancakes, salmon latkes and even a cheeky morning cocktail to send you on your way. You might be back for their all-day menu though, with a dedicated bagel menu, house pastrami and the Montreal poutine you cannot miss, The Fed has it all under one roof. Depot Eatery is renowned for not only their fresh oysters but also fun and fast paced environment which makes you feel like you’re in a bigger city. Not much of a seafood person? Say no more as they also have other mouth-watering options to showcase the premium quality of meat in New Zealand. Think of Depot Eatery as the place to get your grub on, Auckland style with their hearty and comforting food that have the ability to warm the soul. Although the freshly shucked oysters are the star of the show, we highly recommend the NZ Meat Board. This way you really get a variety of flavours and textures and the cherry relish on the side makes it a whole new level of yum. Simon Gault is one of the most famous celebrity chefs in New Zealand with his foodie empire of top local restaurants and food products. He has recently opened up a new restaurant, Giraffe, in Auckland and we are convinced that it’s his best one yet. With a menu that caters to all dietary requirements, Simon Gault uses the best ingredients our country has to offer and makes something delish. When you think Auckland cuisine, it’s safe to say that good quality dairy and premium seafood come to mind. Well Simon Gault has married these two things together and created the Smoked Kahawai Butter and has a taste that can only be experienced at Giraffe Restaurant. Trust us when we say that you haven’t had meatballs if you haven’t tried Baduzzi’s lamb meatballs. The lamb is so tender and the rich flavours are balanced with the wild thyme and enhanced by the gravy that they’re drenched in. The staff know every little detail of the menu so don’t be scared to ask questions as they’re there to inform you and make your dining experience more meaningful and unforgettable. Other stars include their duck pasta and don’t even get us started with their desserts. Leaving without trying their legendary tiramisu is an absolute crime so do us a favour and ignore your fullness and order it. Experience the diversity of Auckland’s cuisine by getting your Mediterranean fix at Ima Cuisine. If you’re one of those people when just one dish isn’t enough, this is the place for you. With lots of small plates and large plates to share, you can enjoy a little bit of everything at Ima Cuisine. Their menu is rich in tasty salads, tender cuts of meat, comforting carbs and are all absolutely packed with flavour. Get a little experimental with dessert and try the Knafeh. All we’re gonna tell you about this menu item is that it’s a cheese pastry drenched in sweet syrup, we’ll let the rest be a surprise. This one has you travelling some 40-minutes away from the city and trust us when we say it’s totally worth it. Travel to Waiheke Island for a perfect little getaway from the hustle and bustle of Auckland and make The Oyster Inn your first stop. This is the place to be for seafood lovers, with the menu inspired by coastal classics and made from locally sourced ingredients. Right by Oneroa Beach, nab a spot on the sunny veranda and get amongst the local Te Matuku Oysters. If you really fall in love, you can even book a room in their small luxury accommodation for a perfect weekend getaway. You’ll be sure writing home about this beautiful seafood haven—or at the very least, ‘gramming it. If you find yourself in the mood for an epic Asian feast, you’ll need to make a beeline for The Blue Breeze Inn. This modern Chinese restaurant is decked out in a tropical theme, with cocktails in tiki cups (that you can take home as a souvenir!) to their friendly staff rocking Hawaiian shirts. The biggest trouble you’ll have on your visit is what to choose from the drool-worthy menu. 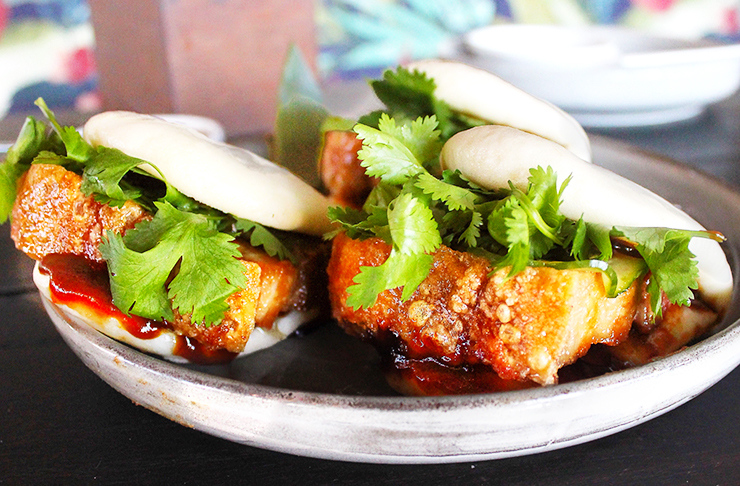 To get you started, any Aucklander will swear by their pork buns—trust us when we tell you to order double. They also have handmade dumplings, locally sourced meat and even tofu dishes that the biggest meat-eaters are obsessed with. Oh, and leave room for dessert. It might be life-changing. There’s something about the black and white floors, gingham tablecloths, vintage bric-a-brac and a simple yet oh-so-tasty menu that makes us feel at home at Coco’s Cantina. This bustling rustic Italian joint has swept many Aucklanders’ hearts, and it might just do the same to you. With big portions, daily specials and one of the best steak and chips in the city, Coco’s has been loved by many over the years. 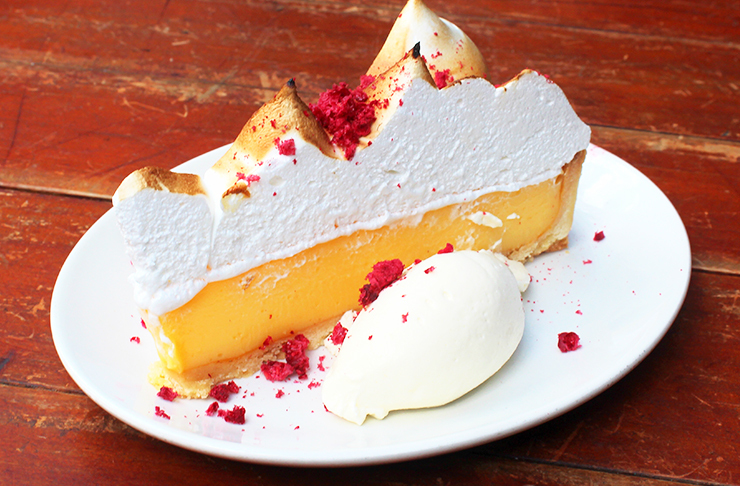 Make sure you don’t leave without curing your sweet tooth with a delightful Italian classic from their dessert menu!